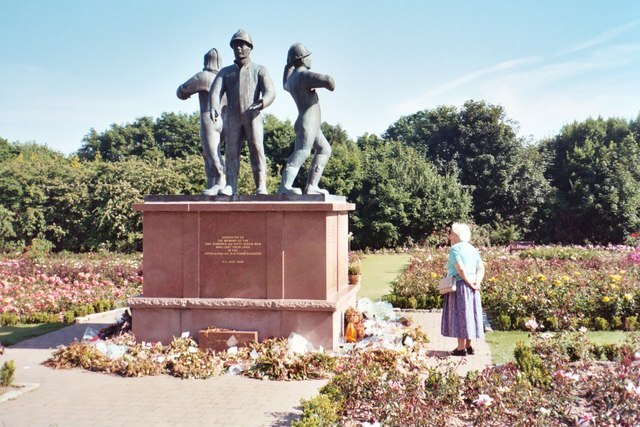 Piper Alpha: The deadliest oil rig disaster | Fleming. Everything changed in 1988. The Piper Alpha disaster killed 167 out of 228 workers and remains the deadliest offshore oil rig disaster of all time. The youngest man to die was only 19. Yet it had one good outcome. A report from the Cullen inquiry made over 100 recommendations about how safety should be improved in the North Sea. What happened? It is hard to tell since only 61 people survived, the platform was completely destroyed and it took almost three weeks for the fire to be brought under control by famous American well controller, Red Adair. Red used to say: “If you think it's expensive to hire a professional to do the job, wait until you hire an amateur.” The report showed that there had indeed been some amateurism present. The accident occurred due to a gas leakage from pipes, because the pressure safety valve had been removed as a part of routine maintenance. It was only temporarily sealed afterward and the pump was not supposed to be switched on; however, because of communication errors, the crew did turn it on and the leak resulted in gas ignition and serial explosions. The platform’s design did not include blast walls, so workers were not protected – personnel who had the authority to order an evacuation had already been killed when the first explosion destroyed the control room. By the time civil and military rescue helicopters reached the rig, the flames were over 100 metres high, the fire reached temperatures of 580–700 degrees Celsius and the smoke together with debris thrown 800 metres into the air made the evacuation impossible. Most of those who died were the ones following the protocol and waiting for helicopters in the galley or in the canteen; unfortunately, the helicopters were prevented from landing by flames and smoke. The accident cost the insurance market more than £1bn, making it the largest insured man-made catastrophe ever. The operator, Occidental Petroleum, paid out £66m to the families of the deceased but escaped any kind of criminal or civil sanction. No one was made personally liable in the courts either. Almost 30 years on, this event remains branded into Scotland's memory. Do you want to find out more about the causes of tragedies like this and about the best practices in fire protection as well as hydrocarbon safety, control and emergency procedures? During one of the sessions at our NEBOSH Certificate in Oil and Gas Operational Safety event, we will learn from past accidents, and Piper Alpha is among them.